Black Adam’s inclusion in the game doesn’t really come as a surprise, given that his appearance has been identified on numerous fighting game websites. A few months ago, Raven was found in a photo taken of the game’s character select screen. 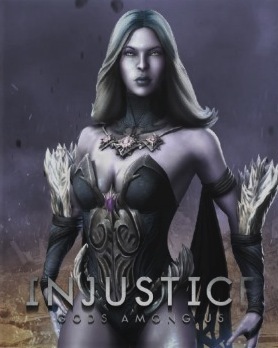 Current rumors speculate that Killer Frost and Ares will be joining the Injustice: Gods Among Us roster as well. 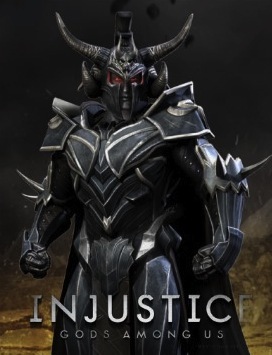 The following character art was obtained by TestYourMight.com at Netherrealm Studios’s presentation at PAX East. Needless to say, we’re really excited about the thought of Netherrealm Studios flexing their development muscle and making something that is inherently new. The absence of a block button is a big deal, given that that’s been the staple of the studio since the first Mortal Kombat, so it’ll be interesting to see how different this experience will be compared to their previous titles. Injustice: Gods Among Us will be out on April 16, 2013 in North America. Question, when you say “God of War‘s Ares”, do you mean the actual Ares from DC Comics or the game GoW, anyway, this game going to be awesome. Sorry about the confusion. Its Ares from DC Comics! That’s cool, I just thought that just like MK9, there would be a guest character. Speaking of DC, what do you think if there was a sequel to MK vs. DC, but this time it has characters from other “Midway” games like the soldiers from Total Carnage, the fighters from Pit-Fighters, the skateboard guy from 720, or even the driver from Spy Hunter, etc…, I would cll it DC, vs. Midway.